And it's time to continue with ramblings about the Potter series. Again, please be warned, that the text below contains plenty of spoilers (from all books in the series) and you would be well advised to stop reading now if you don't want to be spoiled. The plot of this book is very well designed - Rowling weaves in little details: the rules of Duelling, which become important in GoF, Polyjuice Potion gets a lot of prime time and all this becomes significant two books later. I think Mundungus Fletcher will be of importance in DH, because I think he stole the real locket Horcrux from Grimmauld Place. And here, all the way back in CoS, he's already mentioned. Just a random observation, but I had so much fun reading the passages with Gilderoy Lockhart. What a character! This might not be of supreme importance, but what is the connection between Filch and Mrs. Norris, the cat? There have been claims that the cat is an animagus, so is this true? Of note: Hermione's specialty seem to be blue waterproof fires. I couldn't help but think that would come mightily handy if by chance Inferi show up in DH. A few warlocks are mentioned in the series. Warlock is a derogatory term for a male wizard, but is often used for a traitor (of the craft). Will Muggles finally realize they're not alone? Rowling was recently reported as saying that her books are deeply moral. And CoS is a champion in that respect, because this is the book in which people are judged solely on what they were born and not on what they chose to become. Magic or no magic, the prejudice seems to permeate the worlds of some people. Also, Gilderoy Lockhart being the living proof, people would rather believe that an attractive person was good and more able than an unattractive one. Lockhart's whole life depended on that (and a few well placed Memory Charms I should add). McGonagall acts as headmistress in CoS for a brief period, when Dumbledore is forced to leave his position. Based on this, I believe she will take up the post of headmistress in DH, too. 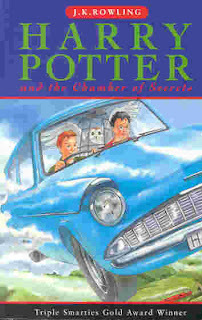 There's a peculiar little detail - the chamber is called the Chamber of Secrets (secrets in Plural! ), so I'm wondering if there are more secrets to be revealed. Tom Riddle explains in CoS and HBP that he had discovered the Chamber by his fifth year. In his sixth year he started wearing Gaunt's Ring and shortly thereafter I think he made his first Horcrux. Would it be unreasonable to expect he hid it in Slytherin's specially hidden chamber? Remember that only very few people could open the Chamber (Parseltongue) and come out of it unscathed, because the Basilisk would probably kill them lest they're Slytherin's descendants or pure blood wizards. The more I think of it, the more impossible it seems to me that Dumbledore didn't know about the Chamber or what was in it. Remember that he was at Hogwarts when Myrtle died and that she returned as a ghost to haunt her classmate Olive Hornby. I'm sure Dumbledore knew which girl died and that she came back as a ghost. The only possibility I see here is that Dumbledore doesn't speak Parseltongue so he wouldn't be able to access the Chamber. This is also the book in which we find out Dumbledore used to be a Transfiguration teacher before he became Headmaster. We haven't seen him transform anything, but there is the possibility of him being an Animagus - a bumblebee, since dumbledore is an old name for a bumblebee. Also recall that Dumbledore could make himself invisible without an Invisibility Cloak and what better way to make himself "invisible" than to turn into a tiny animal. It would be just the thing Dumbledore would do - since most people don't pay attention to details, this would be a wonderful disguise for him. Also remember, that in GoF Rita Skeeter plays a similar trick and that there might be another reason why her story about being an illegal Animagus is in the book. Am I seeing too much? Also, another interesting bit of information on Voldemort. Even at a young age, Voldemort's biggest fault was that he underestimated his enemies (like thinking the Sorting Hat and a Phoenix couldn't help Harry in any respect.) This (along with a fondness for ceremony) are in my opinion his biggest faults and the possible cause of his downfall. It is mentioned with regard to Voldemort that he underwent many dangerous magical transformations. Again plural! Did he attempt anything else besides splitting his soul several times?